OMG my daughter has this board book and I hate it. I attacked it with my sharpie. Or is it the moon? Doesn't matter. Lift your faceguard and have a sip of my lemonade. Everyone knows Fox News is at the center of the galaxy. 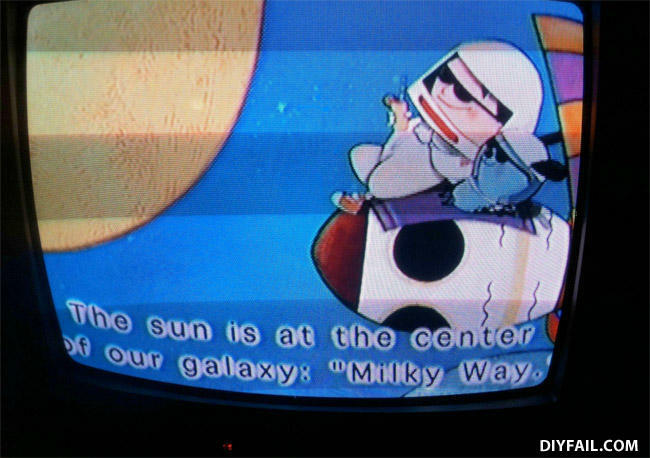 Well, THEIR galaxy, anyhow. I think science just died a little. Don't watch this at home, kids.